Let's remember that the monologue is coming to a close. There’s an old quote that says Every good conversation starts with good listening. 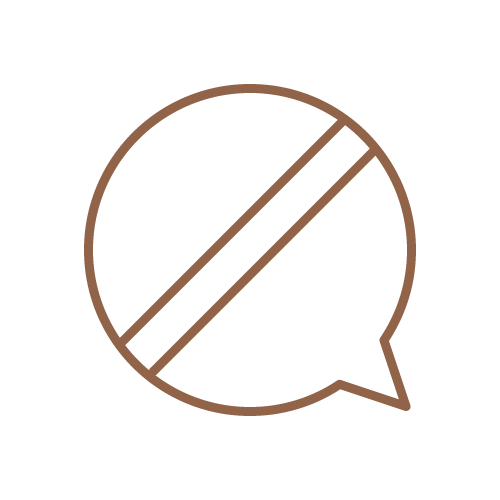 It seems that the age of the monologue is dead and consumers no longer want to be dictated to. The good thing is, when your soliloquy ends there is a glorious moment of silence, and space is made for a two-way dialogue to strike up. This dialogue gifts brands a key to their future. Luxury brands used to set the scene, write the script, direct the movie, and act out every character. They had a rapt audience back then as consumers looked to big brands to tell them what they wanted and which way to turn. But times have changed, today’s consumer is so swamped with choice that they become overwhelmed when clicking onto a website. How can brands stand out against this parade? By creating a dialogue with their consumers, lending their ears, and looking into nurturing deeper conversations along the way. In the Age of You, enabled by intelligent infrastructure and powered by big data, the leading brands will develop integrated ecosystems of experiences and reshape the world around us. As people and devices become more connected and everything becomes “smarter,” businesses are recognizing the need to reorganize themselves around ‘you’. As a result, each of us will become our own marketplace or “mecosystem.” As “intelligent everything” meets the mecosystems of the future, brands will have unprecedented opportunity to create context, creative possibilities, and meaning for individuals—and value for all. And therein lies the challenge. Despite being seemingly set up beautifully to embrace the power of personalization moving forward, many luxury brands find themselves on the back foot. Whether it’s struggling to let go of the old way or just not having the prior experience in digital conversations with customers, many luxury brands are still aiming to either dominate the conversation, or just not have it at all. You only need to look to social media to see what we mean. A couple of years ago, Hermes Facebook page came under fire by animal rights activists because of their crocodile farms down in Texas. Their whole page had turned into a swarm of angry buzzing bees, drowning out anything else that could even be trying to peek through. How did Hermes respond? It wasn’t even just that Hermes was avoiding becoming entangled with a negative conversation, they didn’t respond to anything on their page – not a customer slamming them, singing their praises or even asking them a question. In a time when social media is quite literally leading revolutions and becoming our go to for connections, conversations, and community, its staggering that a brand as big as Hermes are refusing to utilize their social media channels. It’s not as though the team behind Hermes aren’t aware of the boom that is social media, so what are they doing? By not committing time to a two-way conversation on their social media, Hermes is essentially snubbing its current consumers and the millennials who will be next in line. Their Twitter feed is so repetitive that it’s painful to navigate. There is nothing useful or engaging about the content they are frequently posting, and it doesn’t deserve attention. This is a case of style over substance, for sure. Established brands could be accused of relying on their reputation to carry their social media, take Chanel for example, with a massive 13.7M following. The ‘value’ that they think is acceptable to be sharing is the same campaign videos over and over again! Only 0.01% of their following agree by the looks of their engagement on the ‘likes’ front. Luxury brands need to be listening to their customers, even brands like Chanel. Fail to do so and be prepared to be perceived as unrelatable. It seems to be a case of these conglomerate luxury brands taking social for granted. Perhaps because they haven’t needed to rely on it in the past, or because they perceive that social is a space for aspirational buyers only. Either way, these brands are risking being considered tone deaf. Without a sophisticated social space you are wasting time for consumers who decide to drop by. It’s akin to them turning up to a half empty shop with scattered coat hangers on the floor and staff who turn their back the moment you step over the threshold. Just because its online, doesn’t mean that you don’t need to continue to deliver a deep luxury experience. Of course, luxury brands need to toe the line, they cannot bow down to every social sentiment that passes through their doors. However, what brands need to be putting in place is strategies for dealing with social interactions on their pages. Churning out the same boring content, not responding to queries, staying silent in the face of a disgruntled consumer especially when it comes to ethics – this sends out connotations of being a brand that doesn’t care to care and has zero customer service skills. Luxury brands are supposed to be setting the bar when it comes to unprecedented levels of superior customer service. This shouldn’t stop at the door but should seep into every facet of their being – including social media and the art of communication. This poor social etiquette also completely contrasts with the one-sided narrative that luxury brands will try and spin – the ever-polished vision of perfection. Many luxury brands would never share a review from a fan or an influencer, instead they consistently tell their own story, and shrug off the attempts of those fans who try and connect with them. One-way social channels and a lack of listening or interacting at all with consumers is an outdated modem. The irony is; that if brands were better equipped to listen, learn from and converse with their consumers, it would take a lot of the guesswork out of marketing and also provide them with plenty of consumer driven content that would be more than engaging. Along with all of this, it would also tap into a pure authenticity and help curate meaningful connections. No one said this won’t be challenging, especially as luxury brands are so driven to keep control of their brand message. This is why the boom of influencers has been so big, it seemed to be the answer to the question – with well-honed influencers brands could still assert some control over the content being put out there. There is a resistance from some luxury brands to avoid dabbling in social because they shouldn’t sell out or care about shareholder value. But all brands should care about shareholder value, not only because the figures speak for themselves – according to this article by Richard Santoro affluent 98% of consumers (with an income of <$250,000) who plan to buy luxury products use digital platforms to communicate, with 71% of specifically using social media. The era of leading the narrative is over. The conversation will happen with or without you. 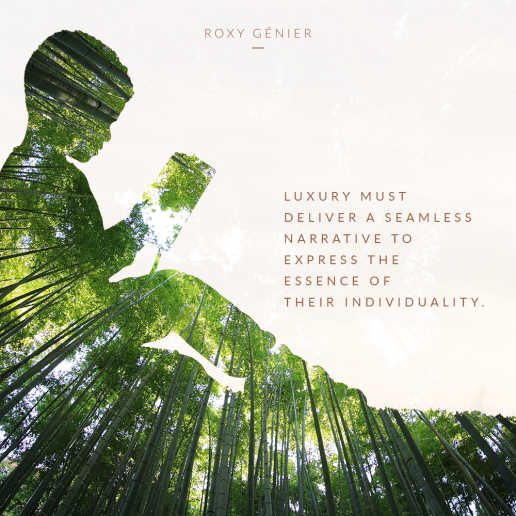 As storytellers and dream weavers, it’s well within a brands best interest to be actively involved in your own story because we are moving past the era where the audience likes to be told what to do; covering your ears, shouting loudly, or delivering a deafening silence will not save you. What will not only save us but propel us into a brighter era of New Luxury is the art of conversation and the celebration of the individual. When a brand can find a way to be inspired by their fans and followers, they will inspire right back. Respect, realness, and beautiful bona fide conversation will be the story that sets your brand apart. 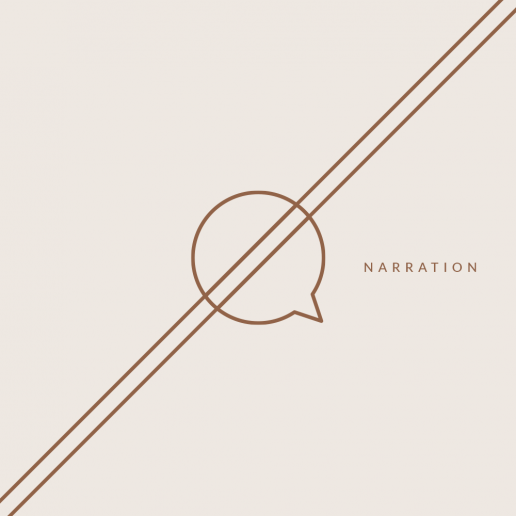 Now that we have learned about the dangers of narration, let’s explore the solution.